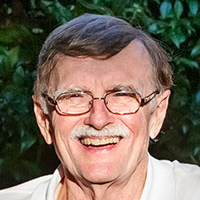 Richard McEwan retired to the Outer Banks of North Carolina after a long career in sales, marketing and advertising. He lives with his wife, Christie, and their two dogs, Buddy and River, one cat named Oyster and many photos of foster dogs. He was inspired to begin writing because of his grandchildren’s love of books.